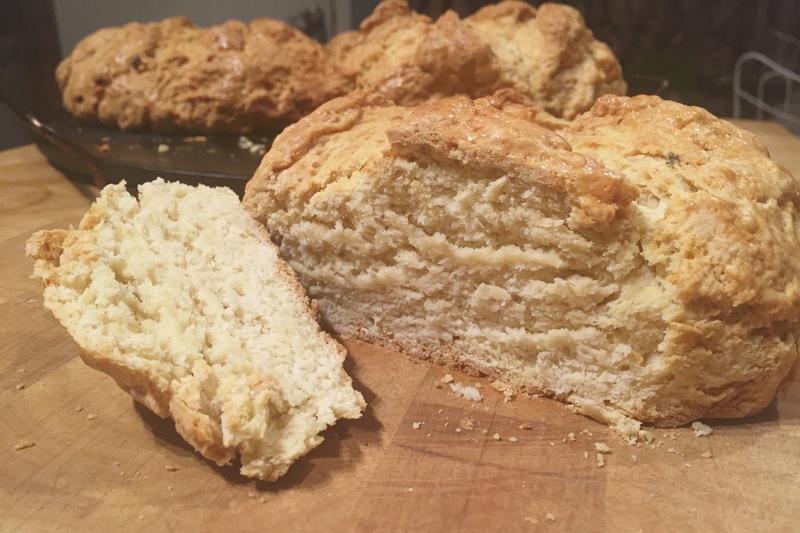 Every year I bring out the Irish in me and make Irish Soda Bread for St. Patrick's Day. And every year I wonder why I only make this bread once a year. I don't know where this recipe came from but it's the one my family has been using for years. This is one of the few recipes that I don't change anything about. 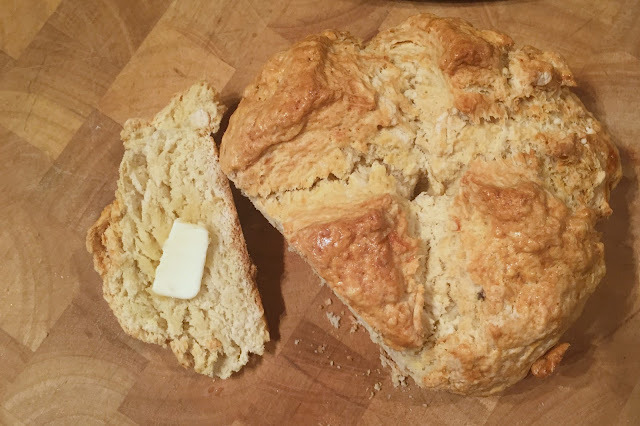 It's the best Irish Soda bread I've ever had. I tried using a different recipe one year because, I mean, how different could it possibly be? It was not the same and I will never do it again. 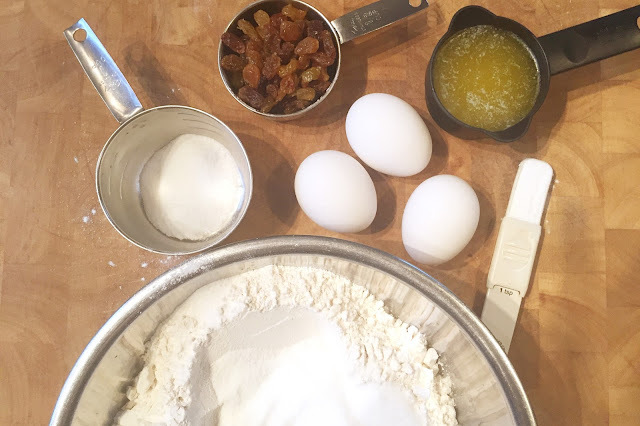 This year, I made two recipes - one with raisins and one without. 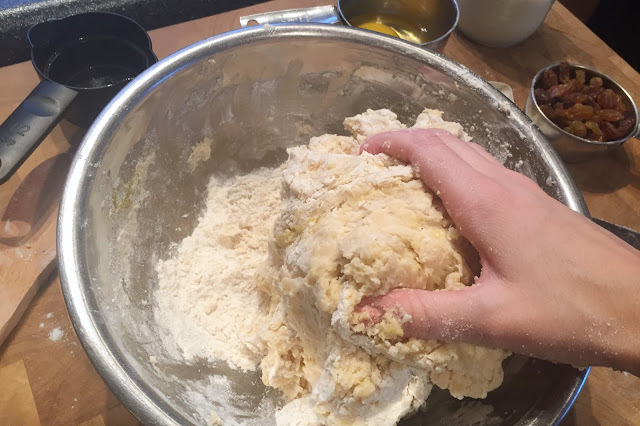 Mix all ingredients until a dough starts to form then kneed until everything is fully incorporated. 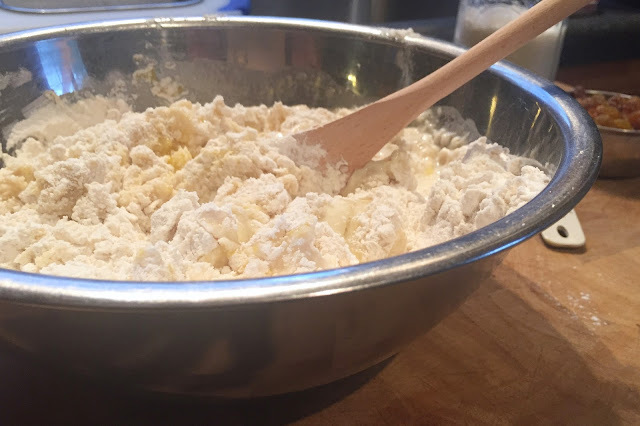 Form the dough into loaves (I got 2 loaves out of one recipe) and place on a prepared baking sheet. 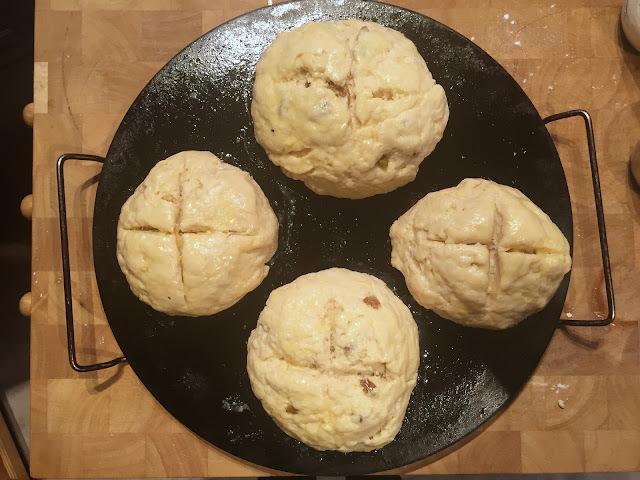 Cut an X into each loaf with a sharp knife and then brush with an egg wash. I made my egg wash using one egg and a little bit of melted butter. Bake at 350 for 30 - 40 minutes or until golden brown. *If you don't have buttermilk available, you can fake it by adding a teaspoon of apple cider vinegar to the milk. It won't be exactly the same but it works in a pinch! This looks so good! Can't wait to try. This was so good! My family and I ate the first loaf and I took the second one to church and got compliments on it. 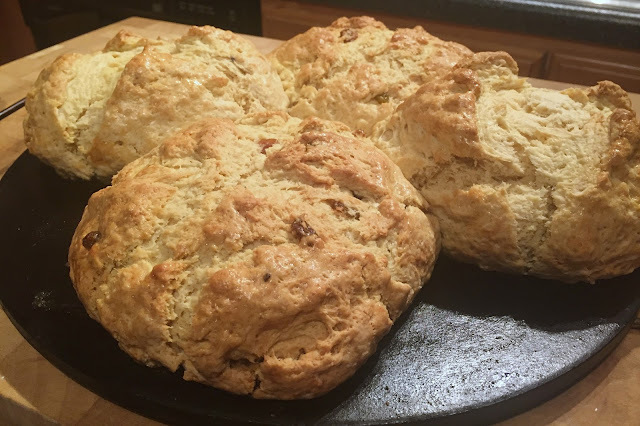 Thank you for the recipe, Sarah!